Uncover Old Street’s secret hide out, inside the Underground Station! What comes to mind when you think of Old Street? Probably not a secret urban roundabout bar. 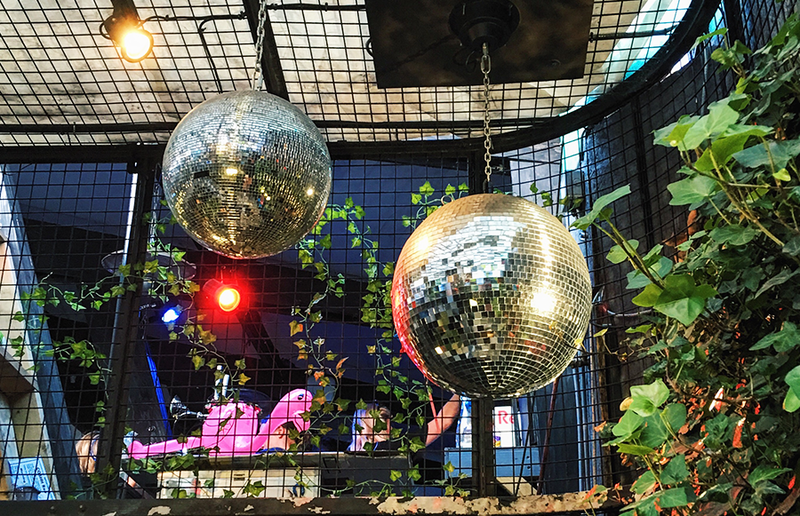 Located literally in the middle of Old Street Roundabout and accessed via a secret staircase in the tube station, The Magic Roundabout is one of London’s most unique party spaces. Offering yummy street food, artisan coffee, beautiful cocktails and craft beers, it was a surprise to stumble across this delight. As if that wasn’t enough there’s also live music from DJs plucked from some of London’s biggest clubs nightly playing a mix of disco, house and groove to get your night going. If you’re looking for a rooftop bar without the view, this is the place for you. Whilst the view all around you may be of, well… the road. The food and drink inside is enough to keep you occupied. 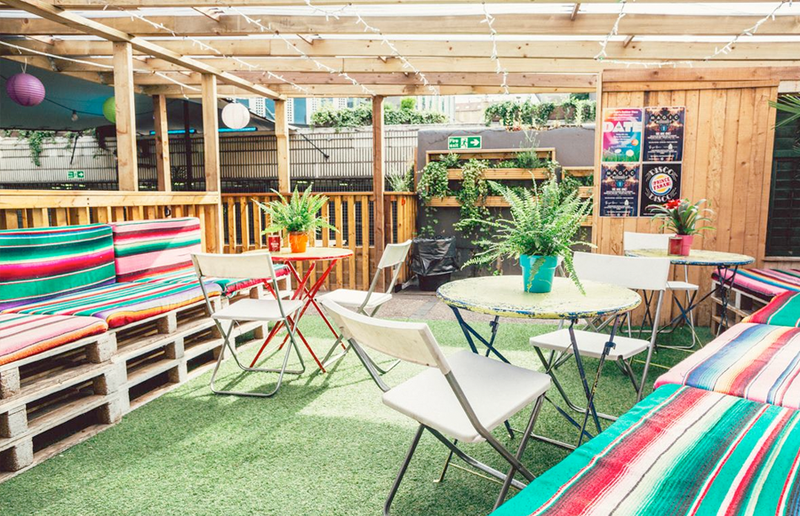 After securing £36k via Kickstarter last year, the brains behind Stokey Bears restaurant and the Burger Bear pop-up events unveiled their plans for a permanent venue located in the Old Street roundabout. 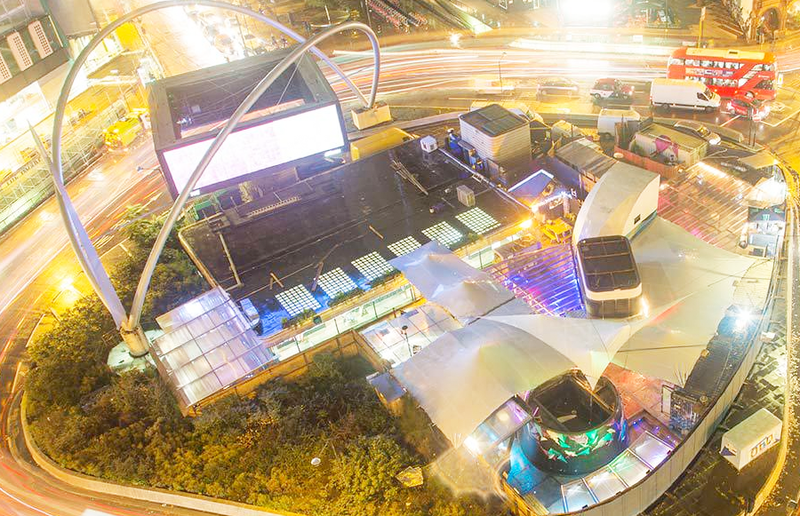 In June 2015, they opened the venue and The Magic Roundabout was born. We visited with a friend recently and were surprised by the quality of the food and drinks on offer, as well as the bar staff who were clearly cocktail specialists, mixing bespoke drinks up for us easily with the ingredients they had to hand, as well as offering helpful suggestions. The Magic Roundabout is also constantly changing with new bars and exciting food ventures getting involved, so nearly ever trip is different. Something to note however is the queues for the bathrooms. Think up-market Glastonbury, with wooden stools, and a dingy mens urinal. If you can hold it in, it’s probably best as we quickly discovered with queues snaking around the venue. The drinks are priced in line with most London venues, and come in plastic cups, so can feel slightly cheapy, especially when ordering a fancy cocktail. If you’re into deep house, and techno music, it’s also a great spot. The music was blaring from around 6pm when we arrived, with many of the crowd gaining free access to club XOYO and using the destination as a warm up, whilst we paid a £5 entry fee to get inside. It sounds odd, but one of the busiest roundabouts in London now has one of the most chilled out, laid back venues you’ll probably find in East London. Give it a go. The Magic Roundabout is based in the middle of Old Street Roundabout, EC1Y 1BE London, and is open Tues through to Sat, 12:00 – 23:00PM. Symmetry Breakfast: Cook Love Share - The book launch!